While some people love to have multiple cans and bottles of different fragrances in their wardrobe for the ultimate versatility to face any occasion and situation, some others actually prefer to have only one that can perform well whenever and wherever needed. If you are looking for an all-purpose woman perfume, you can put Burberry Brit Rhythm For Her into your consideration. Burberry Brit Rhythm For Her is a fresh, sweet scent that puts lavender as its primary accord. The scent is pleasant and enchanting, yet flexible enough to be used for almost any purpose. Burberry Brit Rhythm For Her is made by the Burberry Group Inc, a British luxury fashion house that is headquartered in London, England. The fashion house is already well-known worldwide because of their great designs and high-quality standards. They produce a wide variety of products, including outwear, fashion accessories, cosmetics, sunglasses, and quite recently fragrances. The company was first established by Thomas Burberry in 1856. One of the most distinctive features of the Burberry brand is the checkered pattern. Almost all Burberry products have that typical checkered pattern that not only differentiates from the rest of the market, but also enhances the premium looks. Burberry Brit Rhythm For Her is presented as the pair of Burberry Brit Rhythm For Men, which was released first some time ago. Burberry Brit Rhythm For Her shares some similarities with the perfume for men, but also has gentle touches that make it feminine and suitable for women. Burberry Brit Rhythm For Her was designed and crafted by the perfumers Antoine Maisondieu and Givaudan Nathalie Cetto. This is the first Burberry perfume that uses English lavender as the primary scent. Unlike French lavender, English lavender is much more aromatic and enchanting. Burberry Brit Rhythm For Her comes with an elegant and good-looking glass bottle. The bottle is translucent, allowing you to see the juice inside. The translucent bottle practically allows you to tell if you should buy another bottle anytime soon. 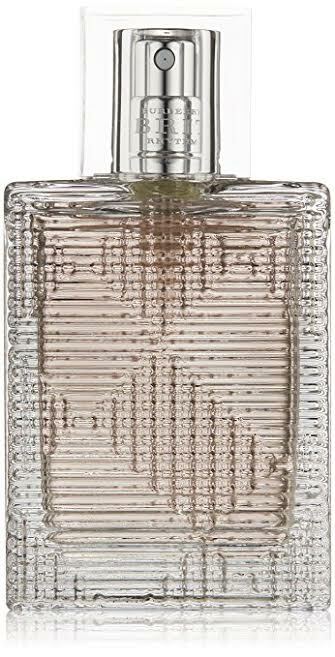 Just like the other Burberry products, Burberry Brit Rhythm For Her also has a checkered pattern, but this pattern is artistically carved in a textured pattern on the bottle. Burberry Brit Rhythm For Her has a spray cap to make application easier and more convenient. The scent of Burberry Brit Rhythm For Her is best described as fresh and aromatic. The lavender notes are very prominent in this perfume. However, the scent is nothing like an intoxicating floral scent. Instead, it is refreshing and pleasant. Such scent is quite flexible and versatile, as it can be suitable for both younger and more mature women. It is also suitable as a daywear for any season, particularly summer and spring. The scent opens with the top notes of lavender that is reinforced by pink pepper, neroli, and aldehydes. After some time, the middle notes begin to unfold, delivering the refreshing notes of orris, orange blossom, petalia, and blackberry leaf. You may notice some woodsy notes from the base, which features vetiver, cedar, musk, and coumarin. The sillage is moderate, but it is long lasting that it can last for extended hours. Check the best price of Burberry Brit Rhythm For Her here!